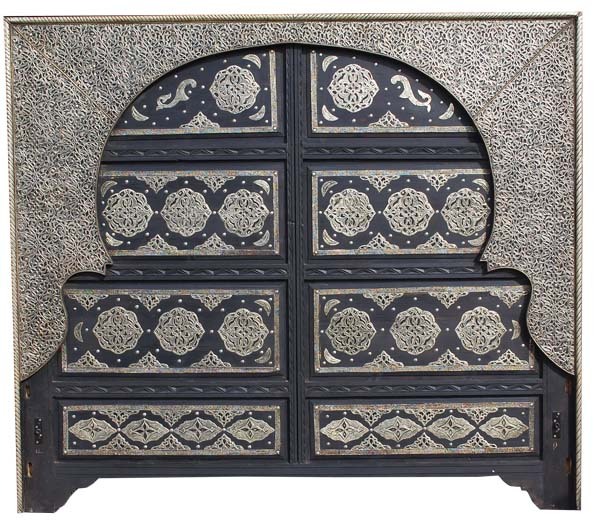 New arrival: Moroccan silver headboard bed. A great workmanship, Hand tooled silver tin metal bed, a unique piece that will add a special tone to any master bedroom. One of a kind. This bed is all handmade in Morocco by master artisans in Marrakesh. Rare & unqiue piece of home decor, would make any bedroom look amazing.